The pillows were so fluffy and the beds were very comfortable! Best beds so far! Size of the room was nice. Room was close to elevator. Gym was great. Sauna. Tennis. Good night shades in the room. Pool was perfect, jacuzzi , the view if your room is in the beach view, view from the pool is awesome. Housekeeping attendants were friendly. The staff was very accommodating and helpful. A very welcoming atmosphere. There was a 24 hour cafe that had many desserts. The live dinner show was amazing and dinner buffet was delicious! Great location, excellent bar and food. Happy hour’s good. Walking distance from the beach. Swimming and snorkeling available depending on the tide. There are several pools both for kids and adults. Choice of five restaurants to have dinner or quick snack. Quickest check out I’ve ever seen. 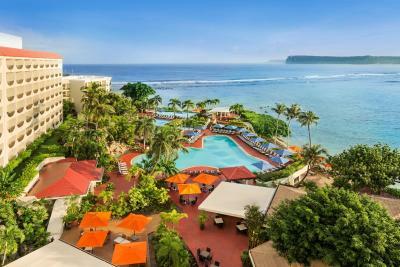 Hilton Guam Resort & Spa This rating is a reflection of how the property compares to the industry standard when it comes to price, facilities and services available. It's based on a self-evaluation by the property. Use this rating to help choose your stay! 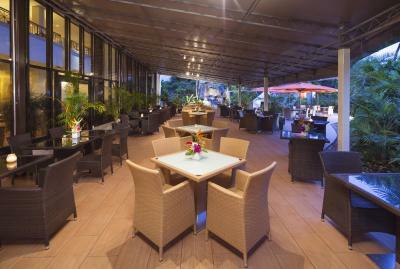 One of our top picks in Tumon.Located on the white sands of the Pacific Ocean, boasting panoramic views of Tumon Bay, Hilton Guam Resort & Spa is set on 32 acres of lush tropical gardens. 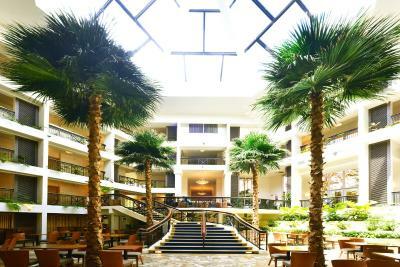 It offers 5 tennis courts and a water park with 5 swimming pools. Free WiFi is available in public areas. 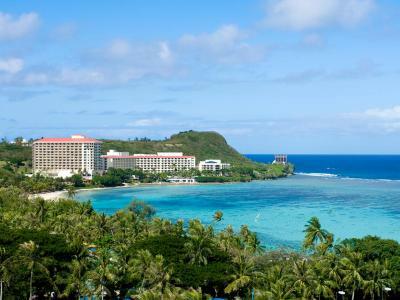 Hilton Resort and Spa Guam is only a 10-minute drive from A. B. Won Pat International Airport and the capital city of Agana. There is a free taxi service to the DFS Shopping Galleria Guam for duty free shopping. 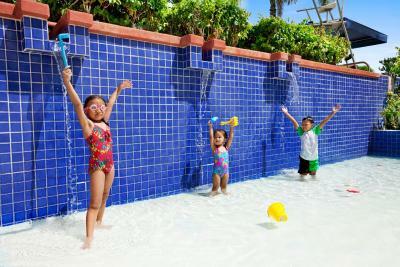 Have fun at the Resopa Waterpark featuring a waterslide, spa pool and infinity pools overlooking Tumon Bay. 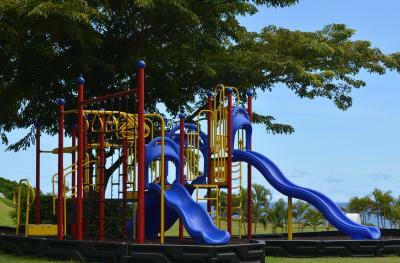 Children will love the play room, plus there are floodlit tennis courts and a fully equipped fitness center. 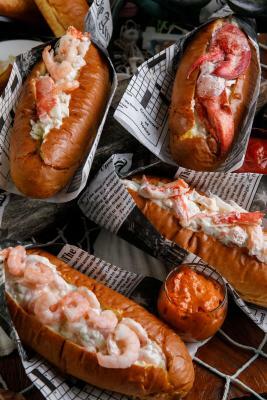 Guests can choose from 6 on-site restaurants and bars, offering a variety of dining options such as fresh seafood. There are also 2 wedding chapels, and a wellness center and day spa. Computer workstations are available in the lobby. 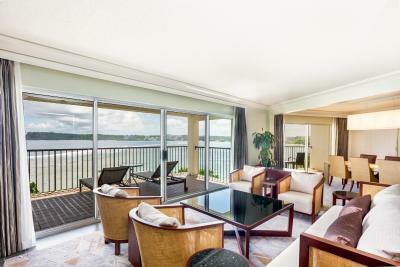 Each spacious room has sliding patio doors, offering views of the gardens or ocean from your private balcony. Air conditioning is provided, along with a refrigerator, slippers, a kettle, complimentary toothbrush and toothpaste. 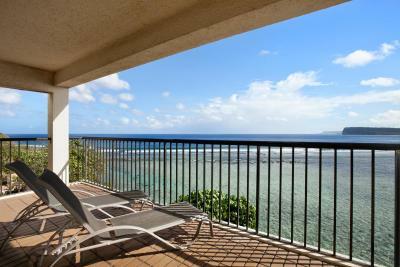 This property is also rated for the best value in Tumon! Guests are getting more for their money when compared to other properties in this city. 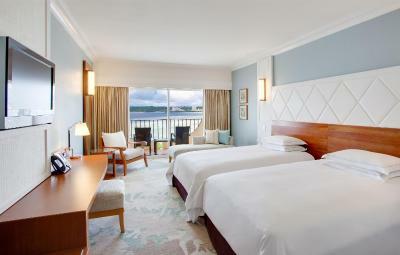 When would you like to stay at Hilton Guam Resort & Spa? This room features a balcony offering garden views. It includes a work desk and a flat-screen TV with on-demand movies. The bathroom offers a separate shower and bathtub. 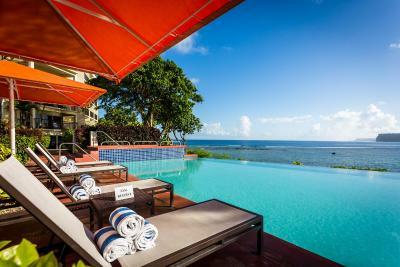 Guests can experience comfort and enjoy special amenities at The Tasi. 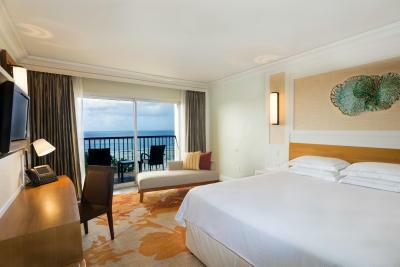 The Tasi Ocean Twin Room offers breathtaking panoramic ocean views of Tumon Bay. Guests staying in The Tasi can enjoy daily breakfast and nightly cocktails and appetizers in The Tasi Lounge. The Tasi Lounge also features nightly cultural demonstrations. 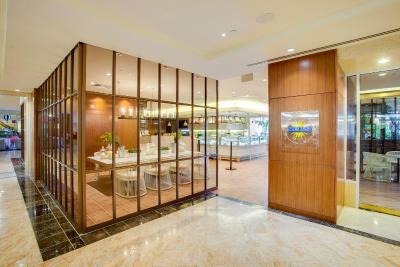 In addition, exclusive benefits include personalized check-in and check-out service, dining discounts and restaurant reservations. 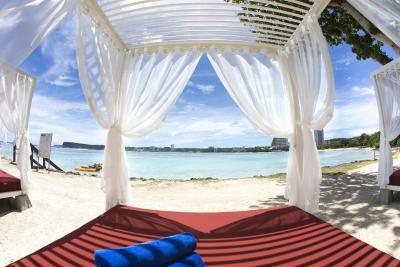 Guests can experience comfort and enjoy special amenities at The Tasi. 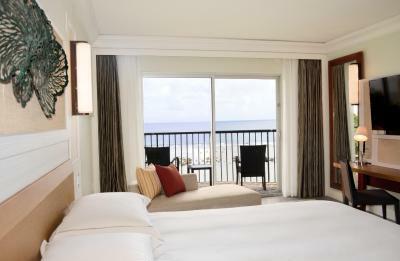 The Tasi Ocean King Room offers breathtaking panoramic ocean views of Tumon Bay. Guests staying in The Tasi can enjoy daily breakfast and nightly cocktails and appetizers in The Tasi Lounge. This room features a balcony offering sea views. It includes a work desk, a TV and a bathroom with free toiletries. This traditional-style room has sliding patio doors opening out to a balcony with breathtaking sea views. This room features a balcony offering sea views. It includes a work desk and a flat-screen TV with on-demand movies. The bathroom offers a separate shower and bathtub. 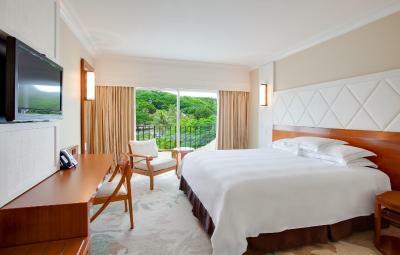 This executive king room features access to the Executive Lounge. 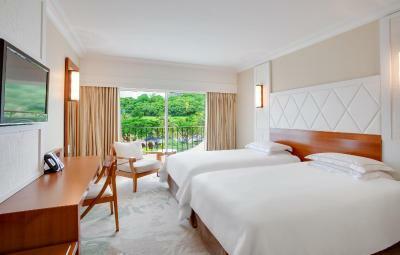 This room features a private balcony, spacious bathroom and flat-screen TV. 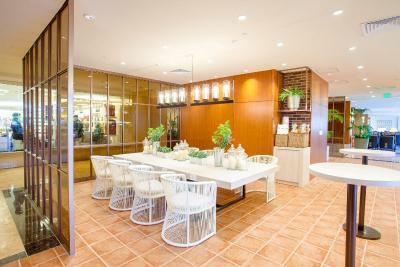 Guests can experience comfort and enjoy special amenities at The Tasi. 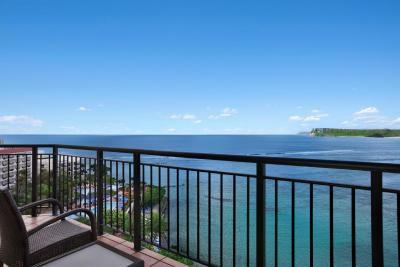 The Tasi Suite offers breathtaking panoramic ocean views of Tumon Bay. Guests staying in The Tasi can enjoy daily breakfast, nightly cocktails and appetizers in The Tasi Lounge. The Tasi Lounge also features nightly cultural demonstrations. 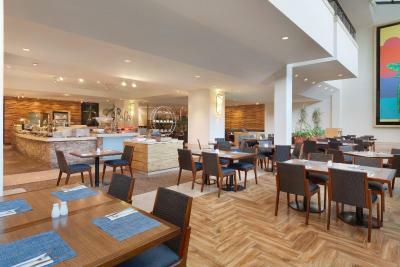 In addition, exclusive benefits include personalized check-in and check-out service, dining discounts and restaurant reservations. The Tasi Suite features a dining and living area. This spacious, luxurious suite features a balcony offering spectacular ocean views across Two Lover's Point. It also features a whirlpool bath, a 42-inch HDTV and a work desk. This suite includes access to the Executive Lounge featuring complimentary continental breakfast and evening cocktails. You can unwind in this modern suite, complete with convenient amenities. 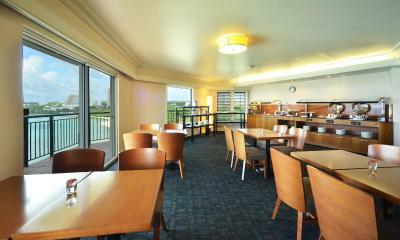 You can enjoy ocean views from the balcony and relax in the seating area. Also included is a work desk and you can browse online with WiFi (additional fees apply). There is a flat-screen TV with on-demand movies. Located in the main tower, this room features a balcony offering garden views. 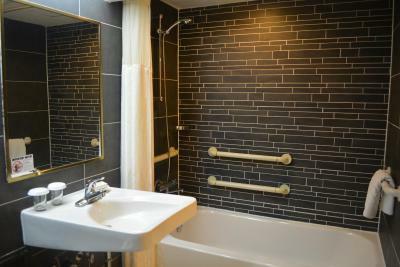 It includes disabled access facilities, including an accessible shower. This luxurious suite features a whirlpool bath and a balcony offering ocean views. It includes 1 bedroom, 2 bathrooms, a desk and a flat-screen TV with on-demand movies. 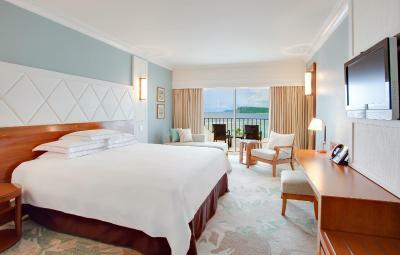 Located in the main tower, this room features a balcony offering breathtaking ocean views. 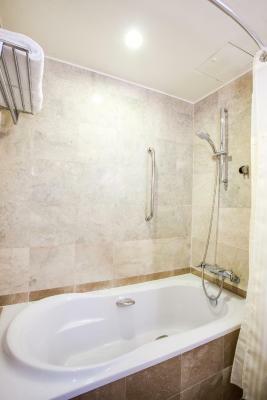 It includes disabled access facilities, including an accessible bathtub. 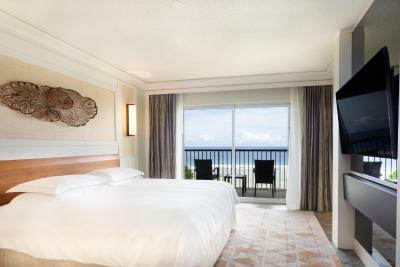 Located in the main tower, this room features a balcony offering breathtaking ocean views. 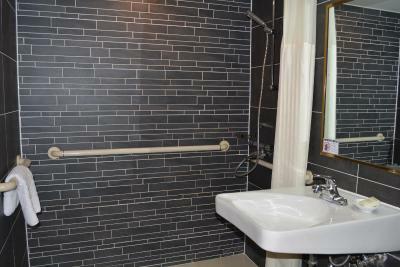 This room offers disabled access facilities. 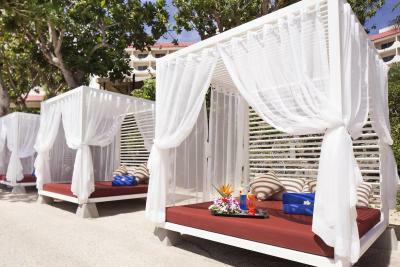 Guests can experience comfort and enjoy special amenities at The Tasi. 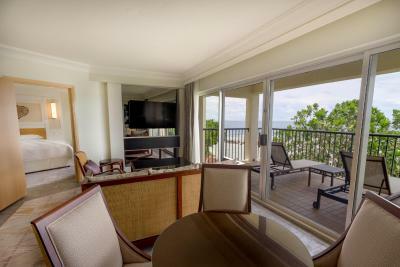 The Tasi Executive Suite offers breathtaking panoramic ocean views of Tumon Bay. Guests staying in The Tasi enjoy daily breakfast, nightly cocktails and appetizers in The Tasi Lounge. The Tasi Lounge also features nightly cultural demonstrations. 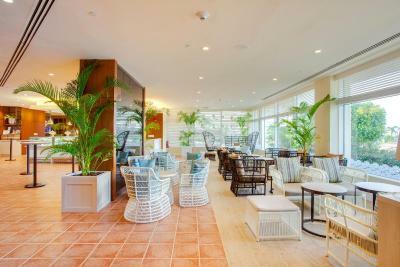 In addition, exclusive benefits include personalized check-in and check-out service, dining discounts and restaurant reservations. This luxurious suite is complete with all amenities and offers spacious living and dining areas. This twin room features a bathrobe, air conditioning and cable TV. Situated on the beach overlooking scenic Tumon Bay the Hilton Guam Resort and Spa has an idyllic location on Guam. 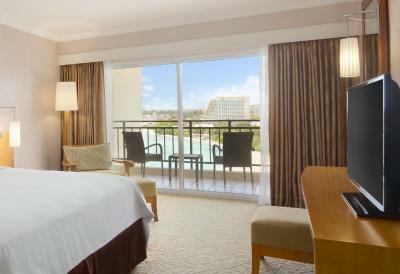 Stunning views from ocean view guestrooms and suites complete your stay in paradise. 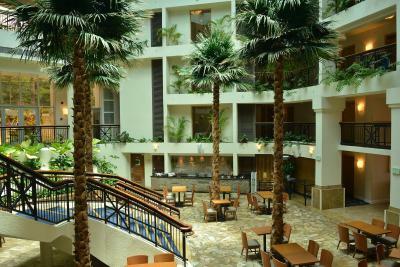 Hilton Guam Resort & Spa offers an array of dining options from the Fisherman’s Cove, Islander Terrace, Roy’s Restaurant to Tropics BBQ and the Tree Bar. 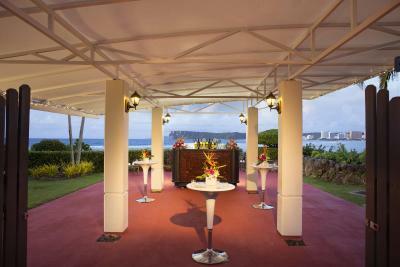 House Rules Hilton Guam Resort & Spa takes special requests – add in the next step! All children under 6 years are charged USD 45 per night for extra beds. Hilton Guam Resort &amp; Spa accepts these cards and reserves the right to temporarily hold an amount prior to arrival. Hilton Guam Resort & Spa accepts these cards and reserves the right to temporarily hold an amount prior to arrival. Please note that there is a VIP shuttle service featuring a Lincoln Navigator. This is available for up to 5 guests and transfers cost USD 75 each way, with free water for all guests. Please inform Hilton Guam Resort and Spa in advance if you want to use this service, using the contact details found on the booking confirmation. 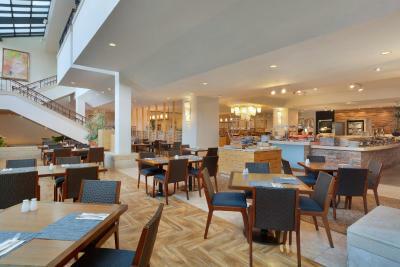 Please note that 'breakfast included' accommodations provides breakfast for paying adults only. There will be an extra charge for children. Staff friendly. Good choice of restaurants. parking lot is far away from premier tower. Where to begin?! Right at the check in desk, with staff who spoke a surprisingly poor English. Then having to pay the exorbitant fee to use internet (we know it's Hilton policy throughout, still shameful). Then having to work for half an hour, and contacting the desk twice to finally get said internet to work! Having sorted that out, we went up, only to find a dirty towel in front of the door of one of our rooms! Once inside, the rooms were comfortable, but without any kind of personality. Would it really stretch the budget to put something, anything, up on the walls? Seeing the table and chairs on the balcony, we tried to go out, but the bizarre safety lock seemed stuck. So we called the front desk, again, only to be told in broken English, that the balcony door couldn't be opened! But it had opened in the other room, so we finally realized the latch was crap and needed to be brutalized in order to open the door. Finally settled, we went for a walk in the vaunted gardens, who turned to be a sorry lawn under some trees, quite underwhelming. We had dinner in town, but came down for breakfast the next morning, only to find the breakfast area had terrible acoustics and was so noisy it bordered on painful. Seeing the tables set up right outside on the terrace, we figured we would just fill our plates and sit outside, only to be told that was not possible. 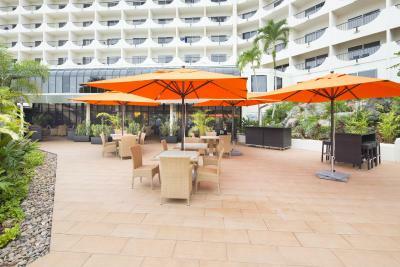 I repeat: this is a beachside resort, in a tropical location, and it is not allowed to have breakfast on the terrace!! So we decided to forego the supposedly delicious breakfast buffet, and instead had a dreadful coffee and muffins at the small cafe in the lobby. After that, we packed up our things and got the hell out of there. The rooms were well equipped and the beds were comfortable. Having to pay for internet! We were dissatisfied with the first room we had originally booked. We were then moved to another room which was not any different. We paid $500 for 2 nights and the room was not clean, there was no room service (did not inform us upon arrival), the phone and tv did not work had to call for services. We liked the view of the ocean and the staff was very helpful and accommodating . No free WiFi! They make you sign up for the Hilton Membership! SMH! They messed up my room and so I had to move half way through my stay. Also the first room had peeling wall paper, missing light switches and broken tiles in the bathroom. The second room was perfect. The pool and proximity to the beach were really good. It was quiet. The Tasi Club is nice! Microwave is only one in 1F floor. 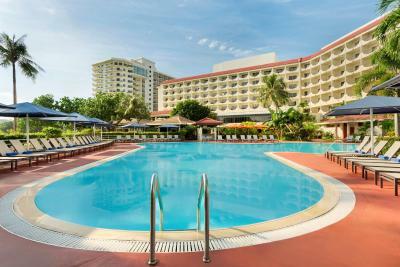 I think it is not enough to Hilton hotel guests. 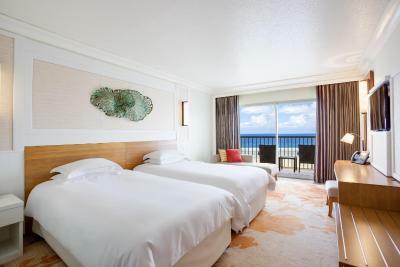 I got my requests ( nice ocean view, tiled floor, baby crib and bed guards ) from Hilton :) Private beach near the property and the swimming pool is very good to play with baby. Room condition is always clean, and ice machine is useful to my family.